After a 12 hour flight from London to Shanghai, and a terrifying two hour taxi ride, we finally arrived in Wuxi. We were visiting Wuxi to attend the NEXT++ Workshop, a gathering of academics and students from around the globe to discuss “Artificial Intelligent Solutions to Information Rich Open Problems”. The title of the workshop didn’t give much away, and we awaited to find out what the objectives of us being there were. The schedule was heavy for the first day: 8:00am until 6:30pm. We feared that the jetlag could become insufferable, and this was going to be a long day. We arrive at the venue, The National Supercomputing Center, where opening addresses were given by Prof. Chua Tat Seng, Prof. Sun Maosong, and Prof. Wendy Hall. objective was to foster this collaboration as the project proceeds. The primary focus of the workshop was wellness, or the health and wellbeing of people. The talks spanned an interesting array of topics, from health reported through social media, to recognising food in photos. The fundamental concept behind these topics was that artificial intelligence techniques could drive solutions to difficult wellness problems, such as analysing large datasets from social media, to classifying types of food in photos. This led into Aastha’s research talk on designing an app for managing asthma. 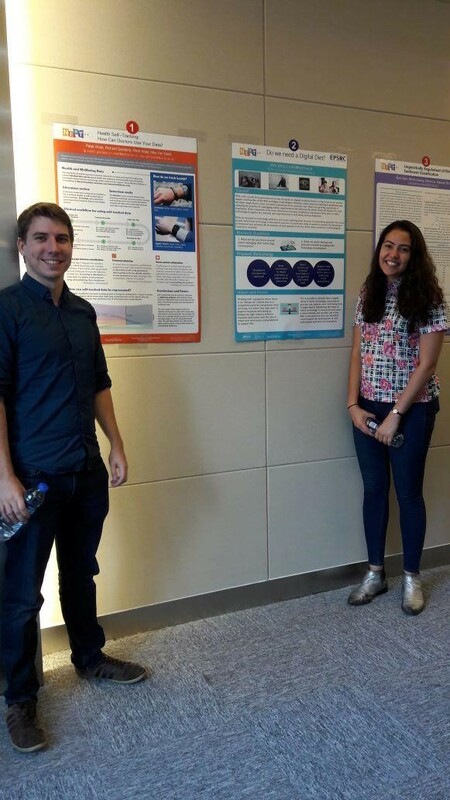 Potential avenues for research included the U-BIOPRED project, which aims to identify biomarkers in the prediction of respiratory disease outcomes, and analysis of sensor data about people and environments to identify asthma triggers. PhD students were then invited to each speak about their research. Peter described how self-tracking technologies (such as Fitbit and Apple Watch) could provide valuable data sources for the prevention, diagnosis, and management of long-term illnesses. Chira’s talk described the potential negative effects of technology on health, such as excessive use of smartphones leading to sleep problems and burnout. The afternoon was filled with interesting talks from industry and research. By this stage, the jetlag had kicked in, and we were dozing off. 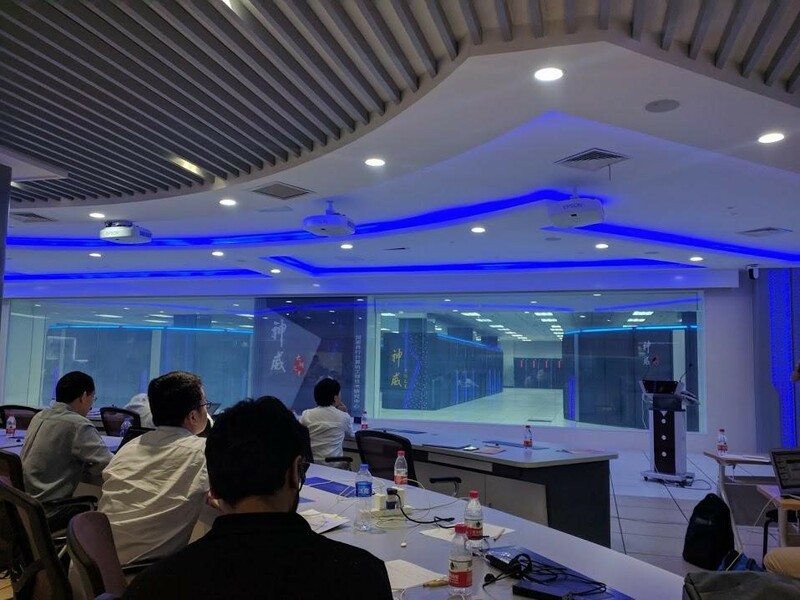 But suddenly, one of the walls in the room became transparent, revealing that the whole day we’d been in front of a colossal cutting-edge supercomputer. This was the fastest supercomputer in the world. Ironically, when the United States banned Intel from selling processors Chinese supercomputer manufacturers, this encouraged Chinese companies to build even faster processors. The workshop finished on the second day with a brief discussion of potential future avenues of investigation. We hope that Southampton University can continue to collaborate with Tsinghua and NUS in solving complex problems relating to wellness, including using artificial Intelligent techniques to analyse large health-related datasets. With the workshop now over, we jumped into a taxi and headed to Shanghai. We were invited along to attend The First International Symposium of Blockchain Technology and Next Generation Internet at Shanghai University that took place over two days. It was hosted by the School of Computer Engineering and Science but open to all. The purpose of the symposium was to promote the thinking exchanges and developing of data science itself from a wide range of research areas, such as Blockchain, Next Generation Internet, Machine Learning and Big Data Visualization. 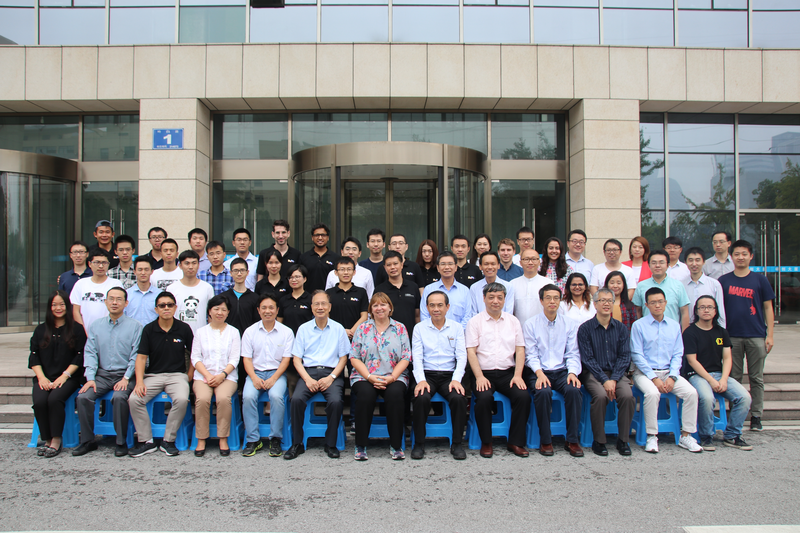 International experts in the field attended to help explore some of the major challenges, cutting-edge research and recent research applications in the field. Speakers included Professor Dame Wendy Hall, who gave a talk on Internet Histories and Futures, Professor Schahram Dustdar from Tu Wien who presented Cyber-Human Partnerships – Towards a Resilient Ecosystem in Smart Cities, Professor Yi-ke Guo the Director of the Data Science Institute at Imperial College, Jie Tang an associate professor at Tsinghua University discussed Aminer: Towards Understanding Big Scholarly Data and many others. Unfortunately for us, not all the talks were in English so we were only able to participate in a few, but we were able to catch up with the presenters in the evening. In our downtime we were taken on a tour of the very impressive campus which is hard to believe how much it has grown in the past 30-40 years and just how large it is too. We were also able to explore the city and see the breath-taking skyline, sample some local treats and visit Yuyuan, an extensive Chinese garden that was built for past emperors. Blog written by Peter West and Chira Tochia.